The Scooter expert 4T 10W40 MA is designed for any 4 stroke scooter or maxi scooter with or without a catalytic converter and a wet clutch. 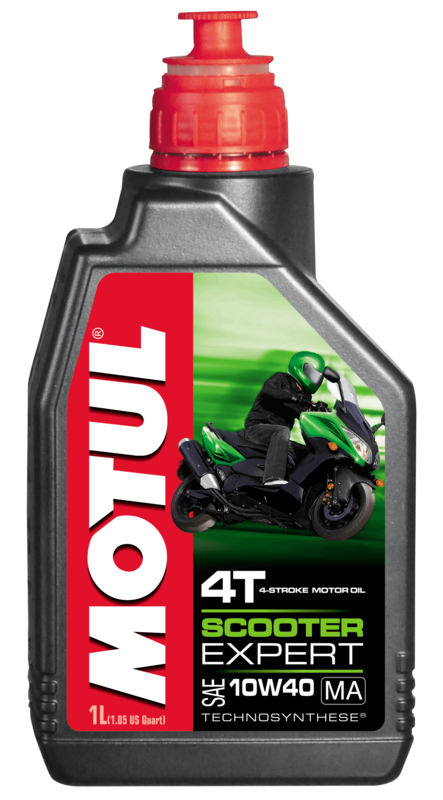 This is the perfect motor oil for any scooter which is used daily or for urban use. Suitable for all type of gasoline fuels and thanks to the JASO MA specification this oil offers fantastic friction levels as well as also improving clutch response and durability.This is perfect for city use and also use in hot weather.